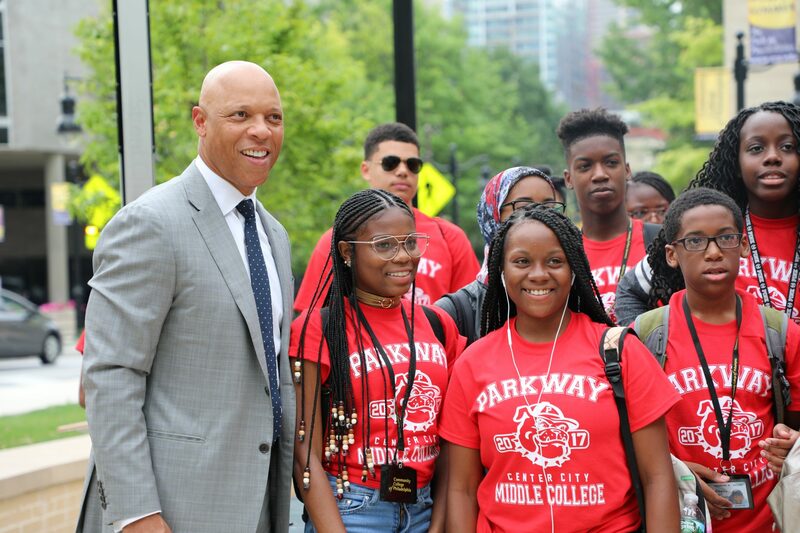 Students attending The School District of Philadelphia’s new Parkway Center City Middle College this fall began the first step in their high school careers with the opening of the Summer Bridge program at the Community College of Philadelphia. This program allows incoming freshmen at the Middle College to begin to earn college credit before taking their first high school classes later this year. Middle College High Schools are innovative, evidence-based school models designed to provide students with the unique opportunity to take a blend of high school and college level courses in order to earn their high school diploma in addition to an Associate’s Degree, or two years of college credit upon entering a 4-year college. Visit our Facebook page to view more photos of the first day of the Summer Bridge Program.